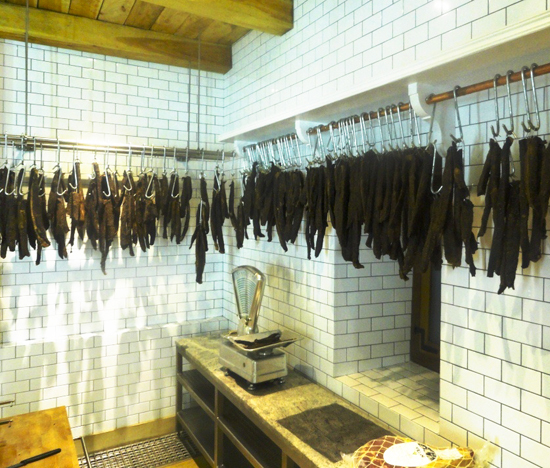 At Babylonstoren we take pride in making our very own and very delicious biltong*, using only the best cuts of beef. We marinate it overnight in vinegar and our own blend of spices, and then we hang it in a specially-built drying room at 30 degrees until it is perfectly cured and ready to eat. So, next time you’re in our farm shop, be sure to get yourself a piece of this traditional South African meaty treat. 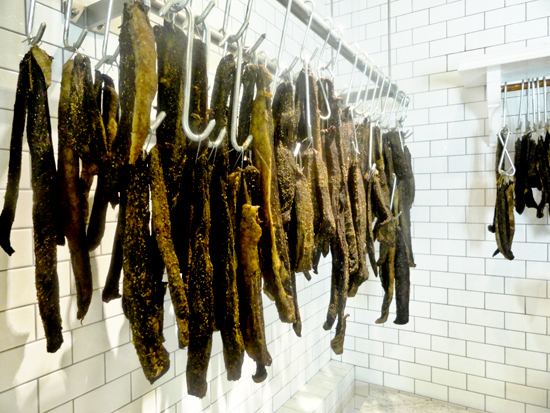 *The word “biltong” comes from the Dutch words bil (“rump”), and tong (“strip” or “tongue”), so it essentially a dried and salted meat. The recipes for preserved meats were brought to the Cape Colony in the 17th century, as the Dutch settlers needed to preserve food for long journeys where fresh meat was hard to come by.